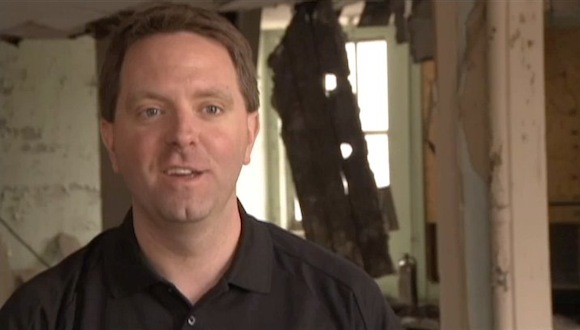 From priceless family heirlooms to mummified cat remains, Matt Paxton has seen it all. Paxton owns Clutter Cleaner, a Richmond, VA-based cleaning and organizing company. With an initial focus on helping aging seniors transition to retirement communities, Paxton since has become one of the most sought-after specialists in the area of “extreme hoarding.” He also is the national spokesman for cleaning company ServiceMaster Restore. Paxton and his crew have cleaned more than 300 hoarder-occupied homes around the country. 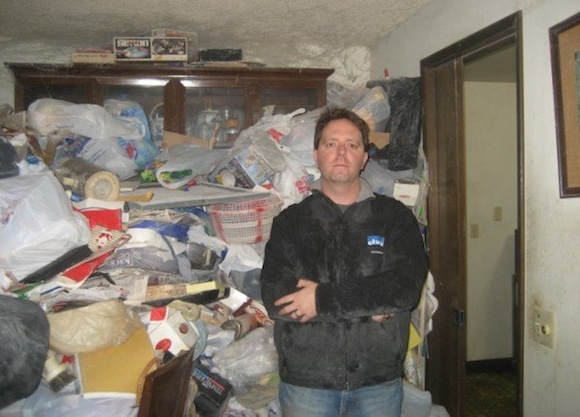 His work earned him a role on the A&E television series “Hoarders,” where he and other experts help hoarders clean up their homes and take back their lives. The most extreme hoarders pack their homes from floor to ceiling with stuff they are unwilling to part with, running the gamut from rare collectibles to useless trash. The A&E show focuses on the most extreme cases of hoarding, with the behavior threatening someone’s relationships, health and finances. Last fall, A&E canceled “Hoarders” after six seasons, but reruns have been picked up by Lifetime. On June 2, Lifetime aired a special called “Hoarders: Where Are They Now?” Paxton hopes that special will revive the “Hoarders” series. In the special, Paxton and other cleaning experts reunite with past clients to check on their progress. 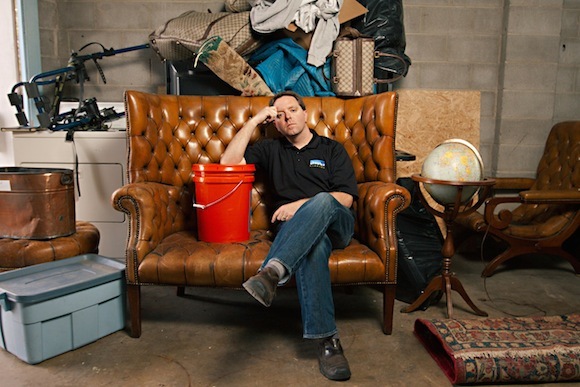 The SpareFoot Blog caught up with Paxton to find out more about the Lifetime special and hoarding and, of course, to solicit his advice for cleaning out self-storage units. Tell us about the special that appeared recently on Lifetime. Lifetime started airing all the reruns, and it has done so well, they decided to bring it back. We just filmed a new episode, and if it does well, they will do a new season. We went back to see the hoarders we visited three or four years ago, and we got five of them on the special that we showed. 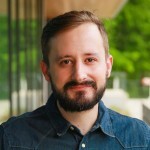 Matt Paxton recently appeared on a Lifetime special about hoarding. One of those hoarders is Shannon, who was an animal hoarder you worked with in Season 2. What was it like visiting with her again? It was fascinating. We hadn’t talk to them in three years, and we walked in not knowing what would happen. This lady had lost her children because of hoarding; they were removed by social services. She lost her husband and lost her animals. She went through a major depression afterward, and that is when we came in and cleaned the house. It wasn’t enough to get her kids back at the time. That would be a six-month to a yearlong process, so I didn’t know if she got them back or not. How has awareness of hoarding changed since the television show first appeared? Since all the hoarding shows came on, awareness has become much greater. The American Psychological Association has made hoarding its own separate mental disability. Now they have all this funding, and it is being researched a lot more and there are more therapists. Cases are being reported a lot more. Has that led to more demand for your services? We get about 500 requests a month from around the country. We can only do two or three a month. Unfortunately, we need to turn away a lot of needy people. That is why I recently partnered with ServiceMaster Restore; they are the second largest restoration company in the country. 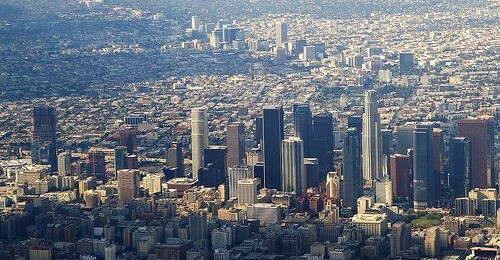 We are training select franchises around the country to work with hoarders. It is a new business for them, and it is keeping them quite busy these days. Do you ever encounter hoarders who use self-storage units? Oh, yeah, every week. It is very common. Hoarders have a hard time understanding limits, and storage gives them an opportunity to grow a little more. A lot of them will end up putting their more valuable stuff in storage because it’s actually safer than it is in their house. When we started, we had a no-storage policy, but we had to change over the last four or five years because of the quality of items found in them. Americans are hooked on stuff. When we are sad, we buy stuff to make us feel better, and when we are happy, we buy stuff to celebrate—just like drinking. Matt Paxton’s company gets about 500 requests a month for hoarding help. Do you ever use storage during the cleanup process? We use storage quite a lot if we can’t find space in the home. We have to take some stuff and put it in storage to make enough room. Storage also gives us a finite limit of what the hoarder can keep. 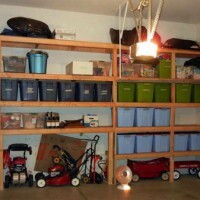 We are able to use that storage and tell the hoarder that they can have one storage unit. It gives us boundaries that they have a hard time setting as a hoarder, but they have to accept it because it is a physical boundary. We used to think storage is a bad thing in hoarding, but it’s a good tool we use to our advantage now. Items that are valuable and need to be saved can be preserved until a family member can pick them up. Any memorable self-storage stories you have from a client? I once had a lady in Richmond, VA, who had kept 10 units for 20 years. They were 10x10s and 10x20s. We did the math for her, and it came out to $120,000. She could have bought a house. She was keeping antique furniture that was worth only $18,000. We cleared them all out and helped her sell the furniture. Did the math convince her? The math didn’t work. She was finally just ready. As a hoarder, you can’t argue or push them with logic. All you can do is be patient and help them to get to the point where they are ready. She had some therapy and got to that point. Most of the furniture had been passed down from her parents and grandparents. From the outside, someone would say that renting 10 units is a complete waste. Then you find out her grandmother and mom died very quickly two months apart in the 1970s, and these were her heroes. Her trigger was her grief. I can relate because it happened to me. I did the same thing after my dad died and kept his stuff in storage for six years. What advice do you have for someone who is a borderline hoarder who wants to start getting rid of stuff? Where do they begin? Focus on donation, because it’s costing money for you to store your stuff. Don’t focus on the value if you sold it, but the cost of keeping it stored. Have an independent person there with you. If you can’t tell an independent person there with you why you kept it, get rid of the item immediately. You don’t need it.